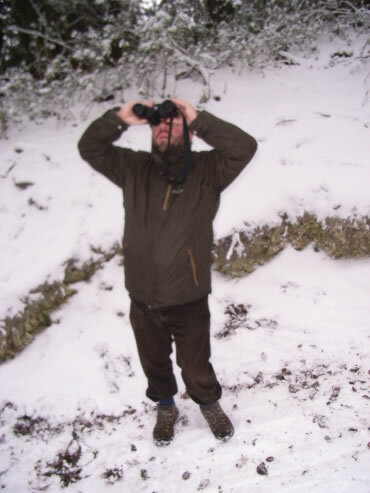 Penny Woods from The Guardian went looking for red kites in the snowy Chilterns, a reminder of the cold winter just passed. For something a little more spring-like, why not dip into the archives to read about our trip to Corrour? There’s more to Surrey than you might think. This route from Guildford quickly takes you away from the town and into the countryside along the River Wey. For our April to June prize draw we are giving away a Base 120 sleeping mat from our good friends at Alpkit .It’s a 'go anywhere, do anything' mat, offering a good balance between weight, pack size and reliability. Solid, dependable, no matter where you are in the world - a bit like our friend Dom, but comfier to lie on. To enter, submit a walk before the end of June 2013. 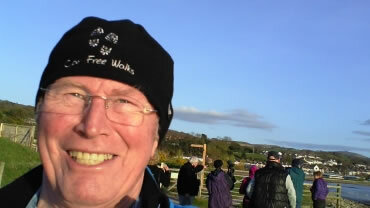 Congratulations to the winners of the Car Free Walks hats; winner Pete Roberts sent us a picture of him wearing his prize at Conway RSPB reserve in Wales. Happy birthday, Penistone Line Partnership! The Penistone Line Partnership are celebrating their 20th anniversary with a guided walk every Saturday this summer. Join them to explore this lovely part of South Yorkshire. Are you in a car-free walking group, or do you know a collection of car-free walking routes? Let us know and we will give you a plug in a future newsletter. If you want to know when a new walk is online, follow us on Twitter or ‘like’ our Facebook page. If that’s not your thing, no worries – they are all on the website! We also put up photos, news and any other titbits, so please send them in. Visit the community page of Car Free Walks for more details of these great offers. The next newsletter will be out in July (ish). Please send us any news and until then, happy walking!